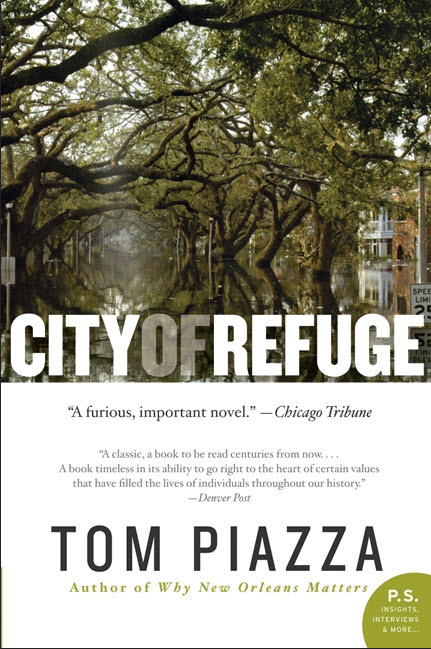 A passionate ode to the Big Easy’s cracked bowl, the latest from Piazza (Why New Orleans Matters) offers two alternating perspectives on Katrina and its aftermath. For Craig Donaldson—a white Michigan transplant who edits local culture organ Gumbo, who has a tidy house near Tulane University and whose two-child marriage appears headed for divorce—Katrina becomes a pressure valve for his own stifled emotions, as Craig rants about the despicable lies of George Bush, the man-made nature of the Katrina disaster, and his own marriage. Much more effective are sections that focus on SJ, a black Vietnam vet and widower from the Lower Ninth Ward, who is taking care of his invalid sister, Lucy, as the hurricane strikes. Craig’s and SJ’s approaches to evacuation couldn’t differ more, and while their competing narratives occasionally illustrate the city’s race and class divide a little too schematically, the point that thousands were left to rot is brought home with kinetic intensity. In stark contrast to Craig’s bluster—and to some of the stereotypes handed to Lucy’s character—SJ’s methodical approach to the disaster and his ability to rebound from devastating loss speak volumes.